RadeonPRO lets you do some really nice things with your ATI card. SMAA is really fast for source games, and FXAA looks really nice for alpha masked foliage. In the Tweek section you can set the Vsync to Dynamic which removes almost all V-sync mouse lag. There is a way to use SweetFX with Radeon pro too. This adds some really nice post processing effects like Sharpen, and Vibrancy. Just unzip it somewhere on your Hard drive, and look in the RadeonPro's setup to specify where the SweetFX folder is. Cool! someone voted this helpful, so I will elaborate a little bit. 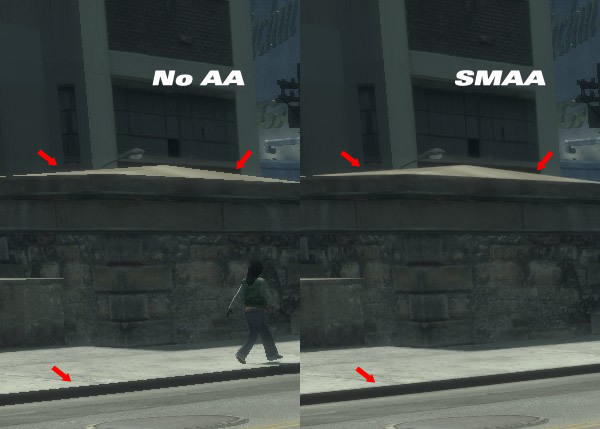 SMAA works very well with source games, It is much faster than FXAA (Valve uses this in Source 2 games). I switched back to SMAA this morning and noticed it was handling the Alpha-masked textures much better than FXAA. Sweet FX's Vibrancy shader is quite nice for HDTV owners. It will saturate colors, by removing grey levels. As you can see from their example, less is more with this shader, i leave it as the default values, and it gives Fortress forever that little extra color boost. plants and grass look a lot like Farcry 3. This will make the image crisp, as if you ran a unsharp mask filter on the image in GIMP or photoshop. It makes all the mipmapping un-blurry, so textures come out sharper. There are other filters worth playing with too. You can customize the Bloom if you want, or add fake HDR lighting if the shadows are too dark in maps. There is even a Ambient Occlusion filter! haveing a lot of fun with my new AMD card. I have been an Nvidia user since 2004, and i am SOOO glad i switched over. Last edited by StinkyTaco; 04-05-2015 at 08:02 PM.